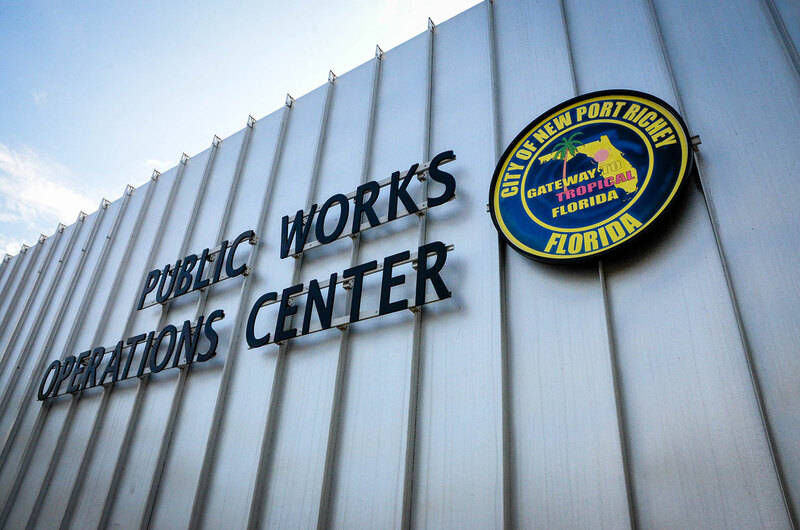 We at the Public Works Department are dedicated to keeping the City of New Port Richey safe and functioning smoothly. We value our community. The support and understanding of our citizens is vital to the efficient operation of public works systems and programs. The Public Works Department is committed to providing you with the quality of government service you expect and deserve. The City of New Port Richey Public Works Department has someone on call for emergencies at all times, including weekends and holidays. This is the Department you call for Water Breaks, Sewer Backups, Street Signs Missing/Down, and Street Flooding. If you are unable to reach the Public Works Department, please contact the City of New Port Richey Police Dispatch at (727)841-4550, and they will send someone from Public Works out to the site. Normal Business Hours for Public Works is 7:00 am to 4:00 pm Monday through Friday.